EMSL offers testing services to assist with asbestos testing needs. Every year, the Asbestos Disease Awareness Organization (ADAO) dedicates April 1st - April 7th to increasing awareness of asbestos and how to prevent exposure by collecting information through experts and victims domestically and internationally to shine light on asbestos as a whole. This year is the 15th annual Global Asbestos Awareness Week (GAAW). Asbestos is a known carcinogen and continues to be a threat on people’s health. There is a significant decrease in the use of asbestos, however, it is still not banned and remains legal in a large part of the world including the United States. The term asbestos refers to six regulated, naturally-occurring fibrous silicate minerals known as Chrysotile, Amosite, Crocidolite, Anthophyllite, Tremolite and Actinolite. When disturbed, asbestos has the potential to release fibers into the air. These fibers, so small that they are typically invisible to the naked eye, can remain airborne for extended periods of time. Inhalation of asbestos fibers can lead to Mesothelioma, which is an aggressive cancer that affects the lining of the lungs, heart or abdomen. GAAW is determined to educate everyone about asbestos and the adverse health effects it could cause. The ADAO works tirelessly to ban the mining, manufacturing and use of asbestos. Additionally, preventing asbestos exposure is one of their main goals. Lastly, increasing compliance and enforcing of existing laws is crucial toward ending the use of asbestos for the ADAO. 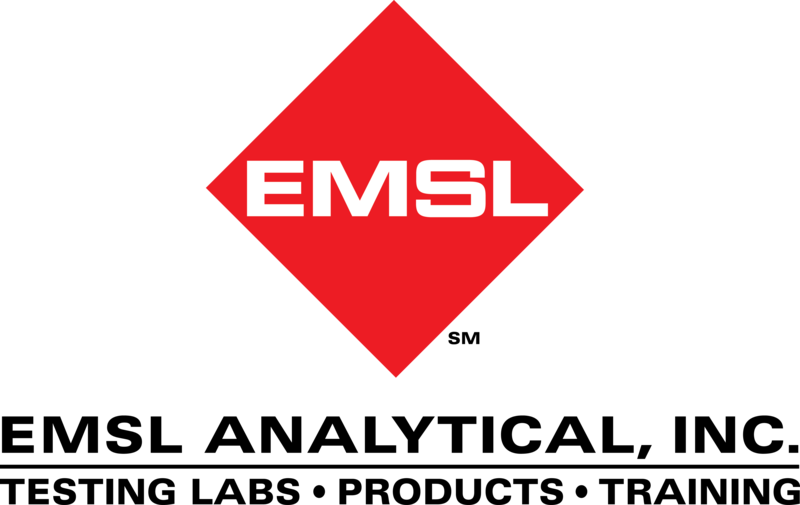 EMSL Analytical, Inc. employs over 1,000 trained professionals, many of whom are experienced in the analysis of asbestos and have access to state of the art equipment and instrumentation to provide quality asbestos analysis of air, water, bulk, soil and/or dust samples. EMSL offers various methodologies (NIOSH, EPA, OSHA, ASTM, etc.) utilizing Phase Contrast Microscopy (PCM), Polarized Light Microscopy (PLM), Transmission Electron Microscopy (TEM), Scanning Electron Microscopy (SEM), X-Ray Diffraction (XRD) and Scanning Transmission Electron Microscopy (STEM). For more information about EMSL’s asbestos testing services, please visit www.AsbestosTestingLab.com or www.EMSL.com. For questions, please contact our Customer Service Center by calling 1-800-220-3675 or emailing info@EMSL.com .